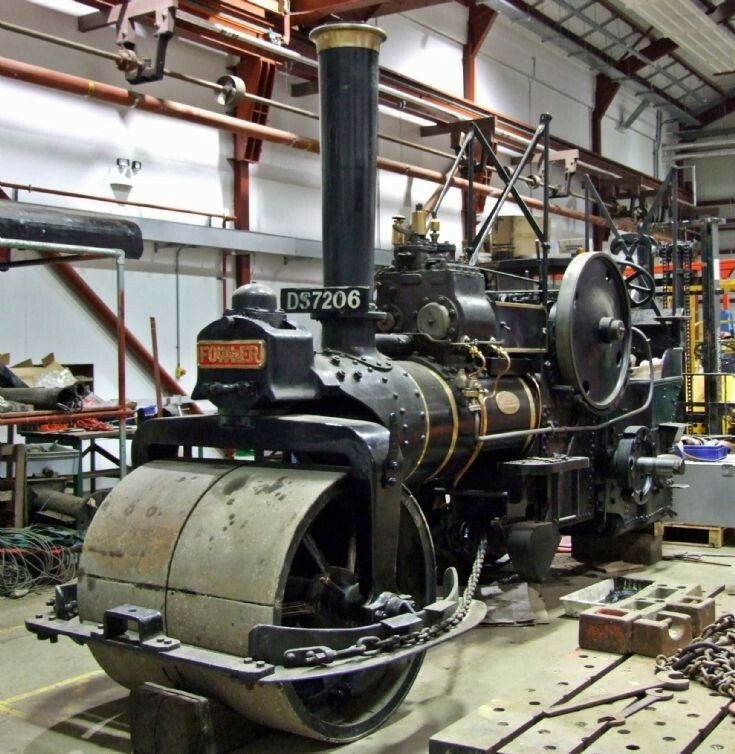 Fowler steam roller, 1928 T3B Steam Roller, Works No. 17251, Reg. DS 7206. Undergoing some maintainance/restoration in the workshop at Summerlee heritage Park.